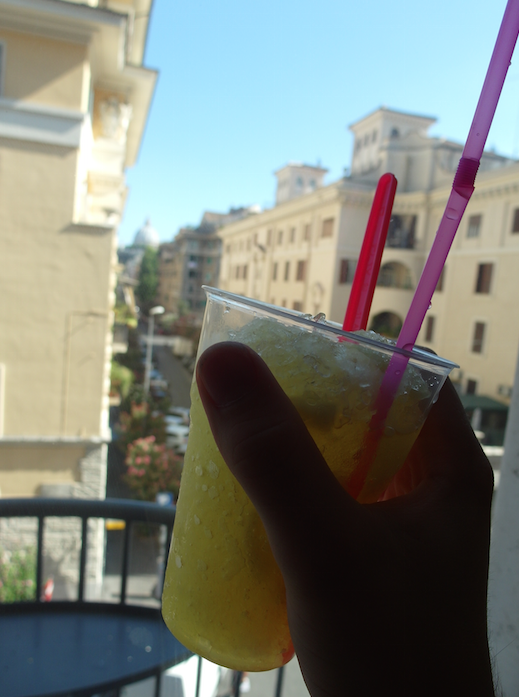 If you ever find yourself North of the Vatican in need of a cold drink, I recommend checking out Grattachecca Della Sora Maria – a small kiosk on the corner of Via Trionfale and B.Telesio. Serving fresh Granitas (Ice and Juice – similar to a slushy) at reasonable prices, you can expect your drink to be both delicious and refreshing. Only open in the summertime, you can expect this kiosk to have lines well into the hundreds in the late evening. For the shortest wait, get there mid-afternoon for a refreshing treat.